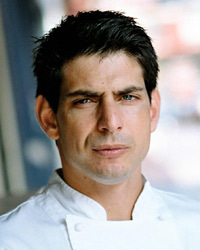 Joey Campanaro, formerly of New York City’s Harrison and Pace, now serves his seasonal American-Mediterranean fare in the intimate setting of his West Village restaurant, The Little Owl. In these exclusive videos, the chef shows how to prepare a romantic dinner menu. Want to spend the year trying new taste experiences around the world? Here’s the ultimate checklist. Resuscitating a pre-Prohibition favorite, the most cutting-edge cocktail creators are once again adding wine to the mix.